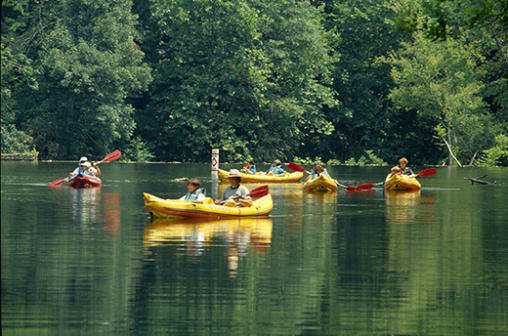 The Eno River flows through Durham for 33 miles before eventually ending up in Falls Lake on the eastern edge of the county. This park, only 10 miles from Downtown Durham, offers terrific access for those who wish to experience the natural beauty the region has to offer. The river winds through hills and bluffs with shrubs and pines that are ready to be hiked and enjoyed through one of five access points.Day trips can also include canoeing or fishing in the Eno itself and can also easily turn into overnight trips with both individual/small group and group camp sites available along the trails in the park. There’s ample opportunity to sink in to the peaceful atmosphere of the natural forests for as much time as you need before you return to your daily life, whether it’s a quick walk or a night under the stars.